Bodo has a client that manufacturers platinum laboratory crucibles. They’re small pots used to melt and analyze samples. They had a trade show coming up and he wanted to get noticed, without a big budget. He asked the members of “triiibes” (Seth Godin’s social network) and the consensus was skip the flashing lights and fancy displays. Instead, develop a story that matches the views of the people at the show and earn permission to contact them. Bodo realized he didn’t know enough about what his client’s customers were thinking. So, he decided to use the trade show to find out. His plan was to raffle a small bar of platinum to people who filled out a short questionnaire about their concerns and needs when buying platinum crucibles. This frequently led to a discussion, drawing out more information. He learned that price wasn’t the primary issue, durability and knowing how to use the products were. There were booths with long lines of people waiting to get digital cartoons of their faces or play Guitar Hero. Lots of people yes, but not people likely to buy. He found that companies that have you on their list to see will see you no matter what. They don’t care about gimmicks or fancy booths. Your job is not to attract them, but to engage them, which he did with the questionnaire. On the other hand, people who are browsing will give your booth a quick glance. You have only a few seconds to get their attention. 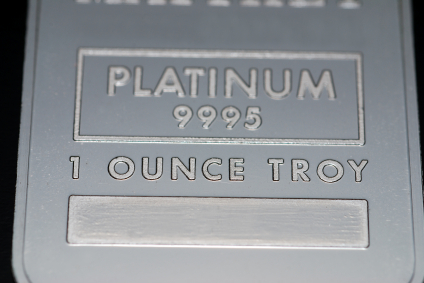 You’ve got to draw them in with a brief, relevant message (in this case, “long-life platinum” since durability is an important consideration). The booth had significantly fewer visitors than the previous year, but many more of them were useful leads. The questionnaire pre-qualified people who were truly interested in his product, allowed visitors to interact with the company, and gave the company permission to contact them again. It also provided valuable information about what his clients’ customers really want and need and how they make purchasing decisions. The customers saw that the company cared about their concerns and wanted to listen. They also got the opportunity to win something remarkable that they could talk about to colleagues and co-workers. 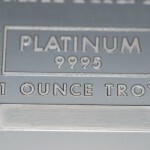 How many people have bars of platinum at home? And, now Bodo’s client knows how to focus and present future promotions, advertising, and trade show appearances. He now knows how to approach his market, because his market told him, and he has their permission to do so. How Do You Focus Your Marketing? Can a Business be Vain? This entry was posted in Business to Business Marketing Strategies and tagged ideal customers, lead generation, leads by Jodi Kaplan. Bookmark the permalink.